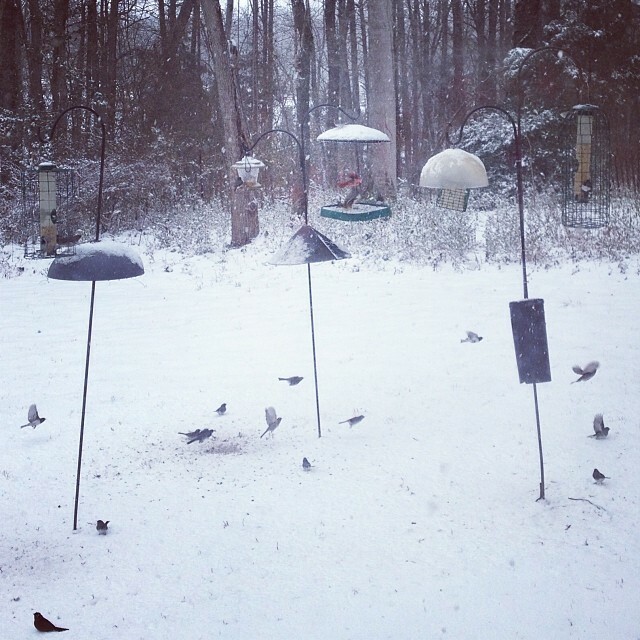 Six inches of snow yesterday in our quiet little farmhouse world, Mama and Daddy got “stuck” here in the name of icy road safety, so we spent the afternoon holed up at the kitchen table nestled by the woodstove watching the songbirds have a total freakout at the bird-feeders (which D and I had judiciously refilled on Sunday when it was 65 degrees out and the bees were flying). Flurries of sparrows, titmice, gold finches cloaked in brown for winter, blazing red cardinals and their dun lady friends, (Robert) downey (jr.) woodpeckers, red winged blackbirds, and the occasional bad grackle and squirrel are all swooping down and around, 30 at a time (! ), a serious all-you-can-eat buffet. 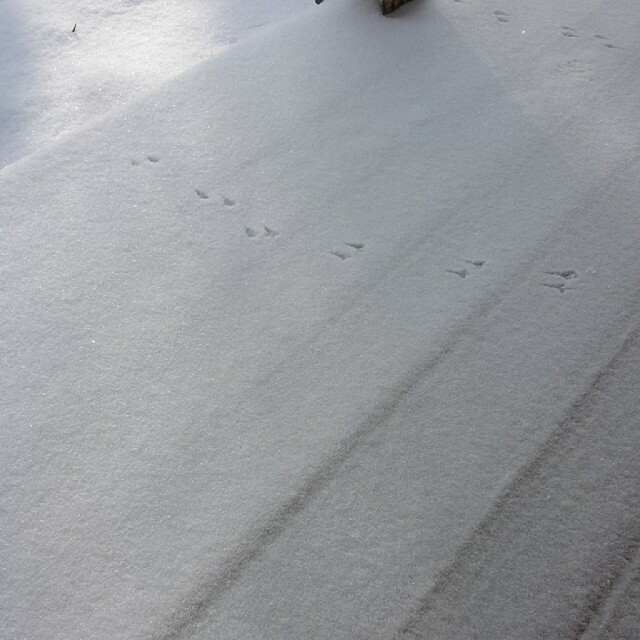 And this morning, Mama found the tracks of a solitary wanderer among the ice diamonds on the front porch. It’s probably safe out there in the world, but we’re going to keep it quiet, snuggled in, and snowbound for as long as we can. Time to go refill the feeders.